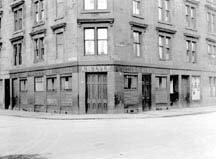 164 Harmony Row, Govan, Glasgow. The Cosy Corner. 1939. Afer Alterations. A B Lyle’s Cosy Corner. 1939 before alterations. The Cosy Corner was situated at the corner of harmony Row and Crossland Road. In 1897 Dugald MacKenzie was proprietor here. 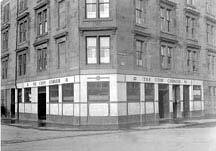 In 1936 Alan Bruce Lyle took over the licence, it stayed in the same family until it was demolished in the 1960s.